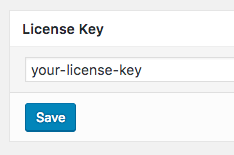 Don’t see a prompt for a license key? You need to complete the Installation steps first. Click on the Plugin’s name in the WordPress Administration menu. Don’t know your license key? We sent a copy of your license key to your email address, as well as storing it in your Account. Click the Plugin name’s menu entry in the WordPress Administration again to see the available options for this Plugin. 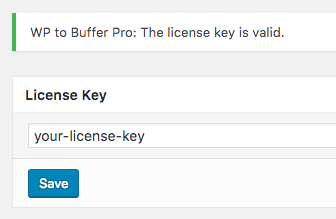 PRODUCT-NAME-PRO_LICENSE_KEY is the name of the WordPress Plugin the license key applies to. Please note the use of dashes and underscores – we recommend copying the below constants to ensure they’re correct.